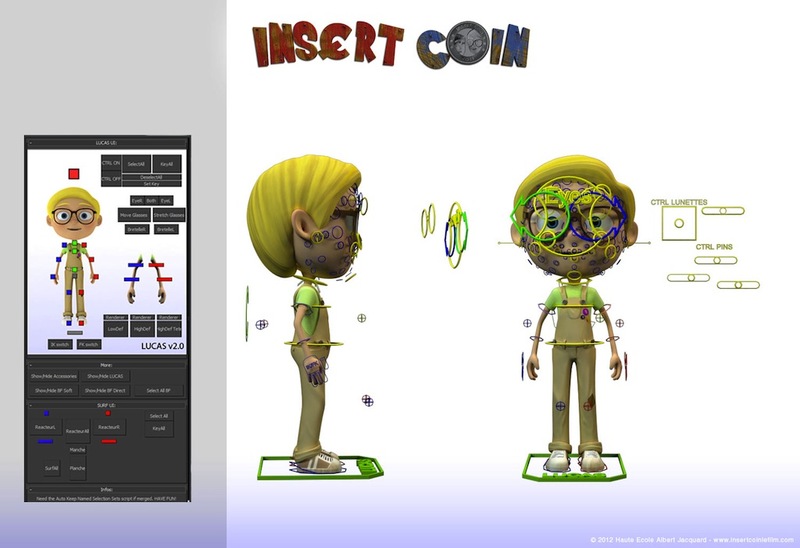 Insert Coin was my end-of-studies project. It’s an animated short made with two classmates: Louis Beucler and Alisson Thiebaut. The story is about two children who imagine a track race on vehicles that runs faster and faster! Character Rigging – face rigging using bonyface. Some of the vehicle rigging. Animation with Louis Beucler, the work has been shared between us. 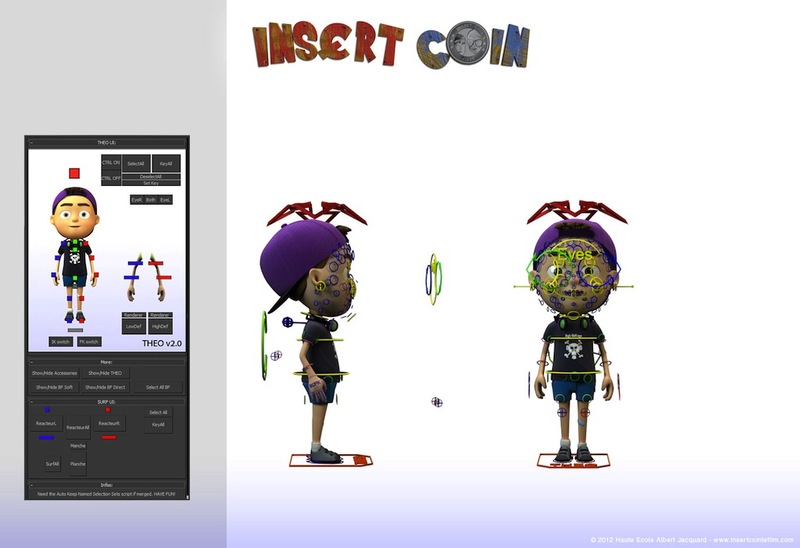 Those are the GUI picker I made to help us picking the part of the character we wanted to animate. It also got some tools like an instant High Poly/low poly switch.